What is real success? Is it just position, power, prestige, and profit? Or…is real success something more? Success can include all the things listed above, but there is one ingredient that turns all success into something more significant, more meaningful, and more real. It’s discovering how to make a difference in the world. In Episode 024 of The Live It Forward Show, Kent Julian shares 7 traits for how to make a difference in the world. What’s most interesting about these traits is they don’t focus on your outward actions as much as they do on your inward, personal development. The reason? 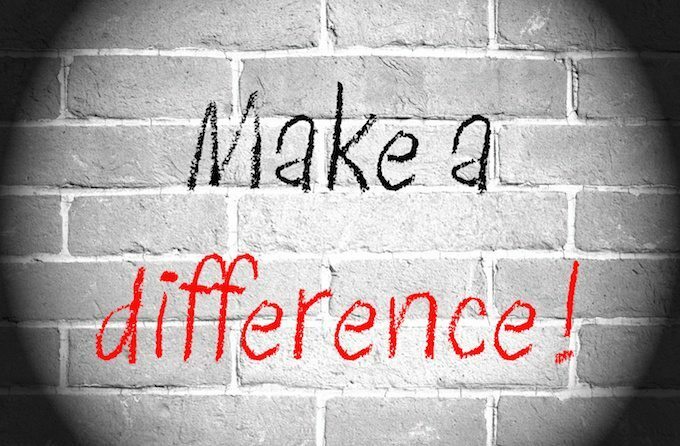 If you want to make a difference in the world, the place to start is by making a difference in you! 2. Early-bird registration for the Live It Forward ADVANCE Conference is now open! Contest ends Wednesday, September 14. Real success is NOT just power, prestige, position, or profit. Real success IS doing well of yourself in your life, career, and finances while doing well for others. 5. Quote which is told to be found on a tombstone at Westminster Abbey written by an unknown Monk around 1100 AD. When I was a young man, I wanted to change the world. I found it was difficult to change the world, so I tried to change my nation. When I found I couldn’t change the nation, I began to focus on my town. I couldn’t change the town and as an older man, I tried to change my family. Now, as an old man, I realize the only thing I can change is myself, and suddenly I realize that if long ago I had changed myself, I could have made an impact on my family. My family and I could have made an impact on our town. Their impact could have changed the nation and I could indeed have changed the world. 6. Seven traits for how to make a difference in the world.